NPR Economics Correspondent John Ydstie, who joined the network in 1979, will retire Friday. 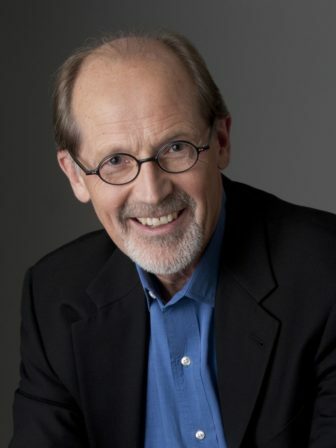 Ydstie began his career as a reporter/producer at Minnesota Public Radio in 1974. NPR hired him as its Midwest editor five years later. “In his four decades here, he has worn more hats than you can find or buy,” Chief Business Editor Pallavi Gogoi wrote in a note to colleagues. A few of his titles: Washington editor, Morning Edition senior editor, London bureau chief, All Things Considered temporary host and national desk correspondent. He’s been NPR’s economics correspondent since 2007. Gogoi said that as a reporter, Ydstie had “a ringside view of world history.” In Europe, he covered the fall of the Soviet Union and the creation of the European Union. He was present during the first Gulf War and was “on the scene reporting on the downed plane in Pennsylvania in the 9/11 terrorist attacks.” He reported for several months from Louisiana on the devastation from Hurricane Katrina. “Thank you for your grace, your style, and for being a role model for so many people here,” Gogoi wrote. Several former public media journalists joined the Washington Post this month to work on its new daily flagship podcast, Post Reports. Senior Producer Matt Collette previously produced the LGBTQ podcast Nancy at WNYC Studios in New York City; earlier he worked on public radio’s State of the Re:Union. Producer Alexis Diao was an audio producer and editor at NPR and an online editor at NPR.org. And Maggie Penman was a WGBH reporter who previously worked on Morning Edition at NPR and also helped launch its social science podcast Hidden Brain. Classical 24 host John Zech has stepped down due to health issues. In a note to listeners, Zech said that throat cancer discovered in March caused him to lose his hearing. While a cochlear implant has helped, “I do not have the ability to hear or appreciate music, and without that I can’t be a classical radio host anymore,” he wrote. Zech has worked as a classical music announcer, producer and host for more than 20 years. He hosted the daily Composers Datebook as well as The Composer’s Voice, a series that profiled contemporary music creators. Classical 24 is the live 24-hour music service from American Public Media. Louisville Public Media has hired Ximena Conde to report on education and learning. Previously she was a general assignment reporter at Wisconsin Public Radio covering southeast Wisconsin. Conde was also a Morning Edition producer at Rhode Island Public Radio. She starts work Jan. 2. Ryan Briggs started work this month as an investigative data reporter at WHYY in Philadelphia. His past experience includes covering Pennsylvania for City & State, a New York–based online news service. Pleased to officially announce that I will be starting a full-time investigative reporting job at WHYY next Monday. Really excited to start collaborating with a lot of excellent journos and to no longer be unemployed! Carol Garber, education coordinator at Wyoming PBS, and MiChelle Jones, communications manager at Nashville Public Television, are the recipients of this year’s Richard E. Ottinger Scholarship from the National Educational Telecommunications Association. The two will attend the 2019 NETA Conference and CPB Public Media Thought Leader Forum Jan. 21–24 in Salt Lake City. NETA Board Chair Molly Phillips, GM of Iowa Public Television, said the two “represent the diversity of our system and will bring a broad perspective of ideas to the conference.” The scholarship provides transportation, hotel and conference registration. It’s named for the former executive director of Georgia Public Broadcasting, who decided in 1994 to broadcast the controversial PBS miniseries Tales of the City despite the Georgia General Assembly’s threat to withhold $19.6 million in funding for GPB. Milwaukee PBS has hired Jason Piekarz as a television production specialist. Piekarz worked for more than 22 years at WDJT, a local CBS affiliate. 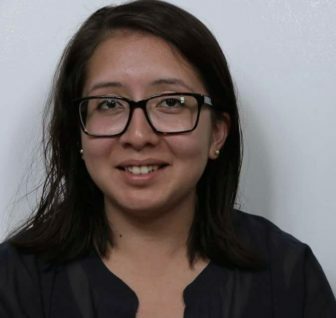 Fernanda Echavarri, a producer/editor for NPR’s Latino USA for the past three years, has joined Mother Jones. She’ll report from Los Angeles for the magazine. Journalist Joyce Russell retired this month after 30 years with Iowa Public Radio. 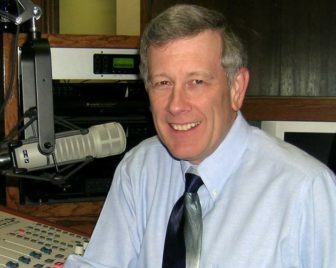 Russell has covered the statehouse since shortly after joining WOI Radio in 1988. Earlier in her career she reported for commercial broadcasters in Oklahoma and Indiana. Russell’s reports, which included coverage of six Iowa presidential caucuses, have aired on All Things Considered, Morning Edition and Marketplace. Dominique Maria Bonessi tweeted that her reporting job at WYPR in Baltimore “is up for grabs.” Her previous experience includes interning at NPR and serving as a Mid-Atlantic regional fellow for the Association of Healthcare Journalists. Sarah Gustavus has joined the Solutions Journalism Network, a nonprofit journalism training and support organization, as its Mountain West regional manager. Gustavus’ previous experience includes working as senior multimedia producer at New Mexico PBS, executive producer of national programs at Koahnic Broadcast Corp. in Albuquerque and as an announcer at KUOW Public Radio in Seattle. Nick DePrey, former innovation accountant and analytics manager for NPR’s NPR One app, tweeted that he’s now working at Chicago Public Media. I'm joining @WBEZ / Chicago Public Media as Director of Product Management. Humbled and thrilled to be working for @GoliSheik and her outstanding team, building world-class media experiences for the Chicago area and beyond. Stephanie Kuo is the new manager for Project Catapult, the PRX/PRI podcast development initiative announced in 2016. Kuo spent four years reporting and producing at KERA in Dallas and earlier was a news producer and editor at WFUV in New York City. Lynn Woolley is the new GM at KNCT-FM in Killeen, Texas. He succeeds Max Rudolph, who retired this month after 37 years. Woolley has been in radio since his undergrad years at University of Texas at Austin. His professional experience includes directing news at KAAM and KAFM in Dallas. He has hosted The Lynn Woolley Show on news radio KTEM in Killeen since 1995. WTTW in Chicago has hired Timothy Russell as VP of community engagement. Russell was previously chief global diversity and inclusion officer for software firm CDK Global. Earlier in his career he directed global diversity and engagement for PepsiCo and held leadership positions at Sara Lee Corp. and the Robert R. McCormick Tribune Foundation. Elyse Jones, former community engagement coordinator at Rocky Mountain PBS, tweeted that she left the Colorado Springs station after nearly five years. Super sad that today is my last day with @rmpbs. I’m so fortunate to have been able to work with such wonderful co-workers over the past four and a half years. I will miss you all (and my office). Jon Lord has joined Milwaukee PBS as its first chief development officer. Lord previously directed development at Planned Parenthood of Wisconsin. He also directed communications at the Medical College of Wisconsin. Christian Siebeneck begins work Saturday as chief technologist at ideastream in Cleveland. He will oversee media and information technology, broadcast and digital distribution, engineering, facilities and infrastructure services. Previously Siebeneck worked as CEO and CTO at GreatWave Communications, a regional telecommunications company. Chris Barch, former director of corporate sales and marketing at WMFE in Orlando, has departed the station to direct multimedia marketing at AAA National, also in Orlando. Barch was at the public broadcaster for five years. Correction: An earlier version of this article mistakenly said that the podcast Nancy is produced at WGBH. It is produced by WNYC Studios.